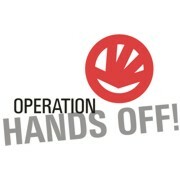 Operation Hands Off provides each bike-owner with a unique identification number and MicroDotDNA TM marking for all your valuable property making it too hot to handle for thieves! Basic bike theft prevention. 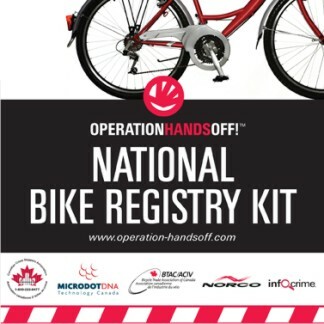 This kit includes a DatamatrixDNA Decal which allows for the permanant registry of a bike. Upload one Serial number.